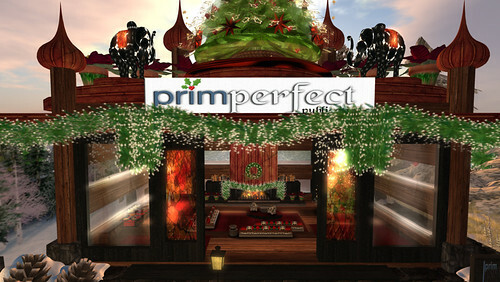 Join the Christmas Conversations with Prim Perfect! Following the success of our discussion / interview sessions at last year’s Christmas Expo – and at the Home and Garden Expo and SL9B, we are planning a further series at the 2012 Christmas Expo. Eliza Wierwright is building us a pavilion in the tradition of the beautiful and very snug dacha that she created for us in 2011, straight out of an enchanting Russian fairytale, and we’ll be hosting as many sessions as possible! We’re planning to host events at 3pm every day. If you would really LOVE to give a presentation, but can’t make that time, contact us and we will see if we can fit you in.